Pebble has received 12 million in pledges since unveiling its updated smartwatch, but as impressive as that is, it's not what I've come here to tell you. 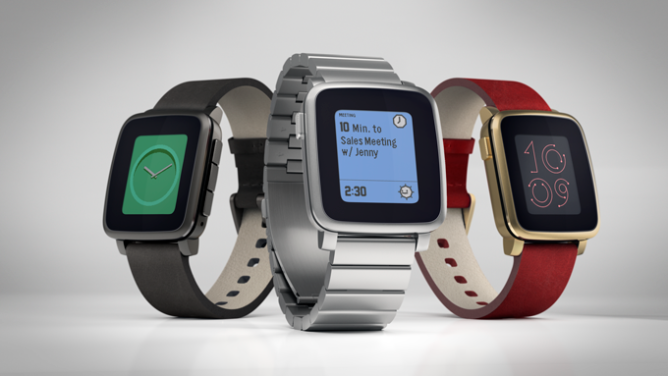 This time around, Pebble isn't waiting half a year to update its creation with a higher-end iteration. 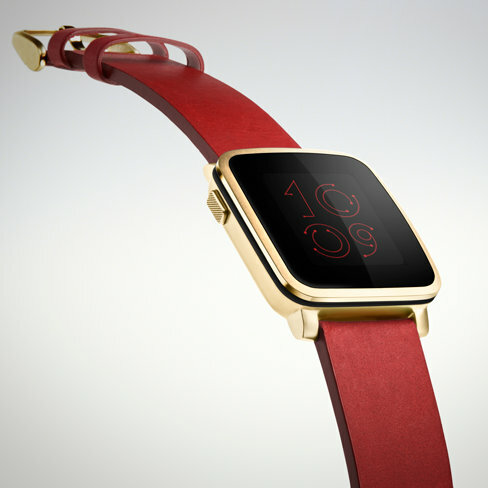 One week after kicking off the project, the company has followed up with a second version, the Pebble Time Steel. Like the Pebble Steel before it, the Pebble Time Steel doesn't change the internals found in its plastic sibling, except for a larger battery, which will apparently provide this model with up to 10 days of use. The Steel's stainless steel case comes in three colors —black, silver, and gold—and is only 1mm thicker than the regular Pebble Time. As for straps, there's fine leather and stainless steel. That's not all Pebble has up its sleeve, so to speak. Today the company has also revealed what it's calling smartstraps, interchangeable bands that can contain electronics and sensors capable of interacting directly with apps and providing watch with expanded capabilities. Potential uses include an extended battery, NFC chip, and heart rate monitor. With quick release pins, you can easily change your straps as you move from one task or environment to another. To claim a Pebble Time Steel, you must pledge at least $250, and units are expected to ship out in July instead of May. Those of you who have already committed money can change your order without losing your place in line. There are 24 days left to do so at the link below.